Make this beautiful and colorful Spring Flower Dollar Store Wreath in just a few minutes with supplies for just a few bucks! Hey friends! 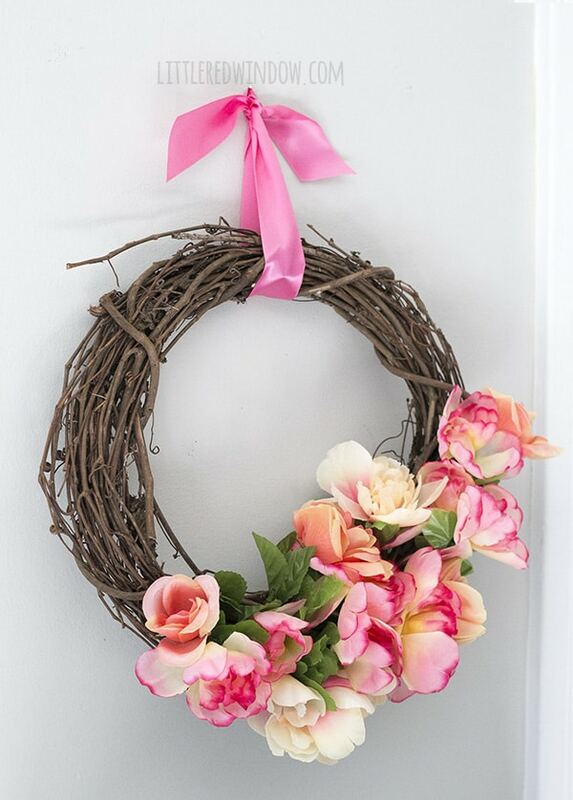 Can you believe this gorgeous spring flower wreath was made with faux flowers from the dollar store?! I couldn’t either! That’s an aisle that up until recently I’d completely passed by in the dollar store. I swear the last time I looked the faux flowers were really ugly. But I guess they’ve improved some things because the last time I was in, they had a special display near the front of the store and there were lots of really pretty faux flowers! And I really don’t think you can tell these are the cheap version, I was pretty impressed! 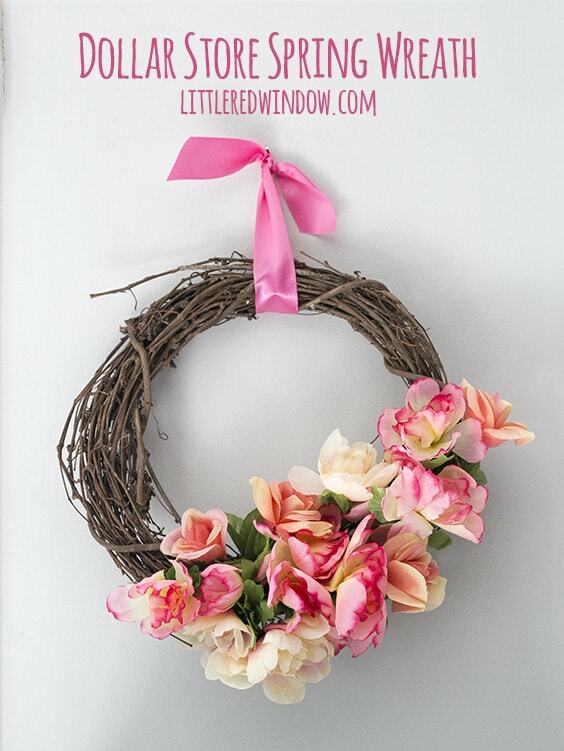 This dollar store wreath also a super easy project and fun to make. So easy in fact that instead of step by step photos, like I usually do, I made you a video showing how to make it! How fun is that?! This would be a great project for craft night with your friends. Affordable, very cute and easy enough to complete while preoccupied with chatting (and wine drinking, if you’re like me) Scroll all the way down, past the video for the supply list! I think this dollar store wreath turned out so pretty and it looks so festive and happy hanging in my kitchen. I will definitely be making another one with different colored flowers. 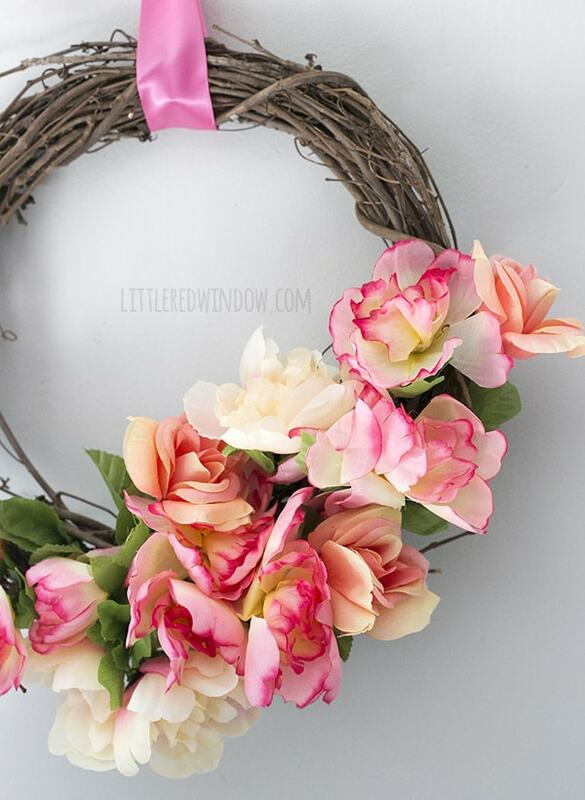 If you make a spring flower dollar store wreath, I’d love to see it!